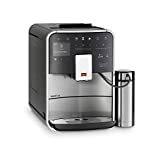 If you love the idea of a delicious coffee shop drink without the idea of spending money on a trip to one, you need a bean-to-cup coffee machine. With these machines, you can enjoy the best coffee drinks any barista could whip up for you without the expense and without having to learn how to do a barista's job. There are two basic types of bean-to-cup machines. The first is the coffee-drip type. This allows you to place the beans in the cup and the machine will filter water through the grounds and into a carafe. 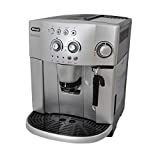 An espresso machine works by pushing pressurized hot water through the beans and into a single-serve cup. Each type will grind the beans first and then tamp them so that the water can pass through and into the carafe or single cup you choose. Many of the top brands come with programmable features and recipes which are built in. You access them using the machine or a Bluetooth device. Many will also froth milk so you can enjoy a cappuccino or other delicious coffee-house style drink. You want to use fresh, pure water and the best beans you can purchase so that you get consistently great coffee no matter which style of machine you choose.